Fourth of July Celebrations, Washington, D.C.
Coming July 4, 2015. What better place to celebrate Independence Day than in our nation’s capitol! 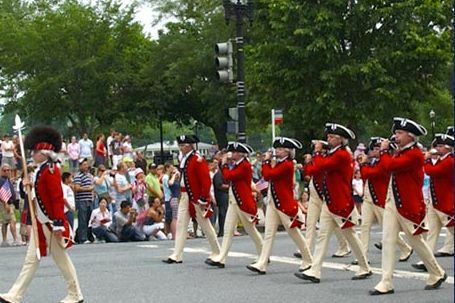 Start with the National Independence Day Parade with fife and drum corps, floats, marching bands, equestrian riders, military and specialty units, drill teams, and some special VIPs. After the parade, head to the National Mall for the Smithsonian Folklife Festival highlighting cultural traditions around the world or the World Children’s Festival, the world’s largest celebration of children’s creativity and imagination. Check out the newly renovated Smithsonian National Museum of American History or any of the other 19 Smithsonian museums and galleries (remember, they’re all free!). And last but certainly not least, is the National Symphony Orchestra’s concert at the Capitol Building and one of the country’s largest fireworks displays. Wear your red, white, and blue, and get in the patriotic spirit!